This album is the final installment of "hibarigaoka" series. by the producer Takehito Nakazato (Dub Sonic) in 4 times. They are on 20000829, 20000912, 20000919, and 20000926. Takehito and JINMO choose the data of 20000912 from those data. by Kazunao Nagata on 20001005. And it was released as CD album "hibarigaoka" from Takehito's label "F.E.E.S." on 20001219. "Every data are nice. I want to let everybody listen them all." 7 years after, his hope has come true as releasing of "hibarigaoka supplementary data 1"
and "hibarigaoka supplementary data 2". 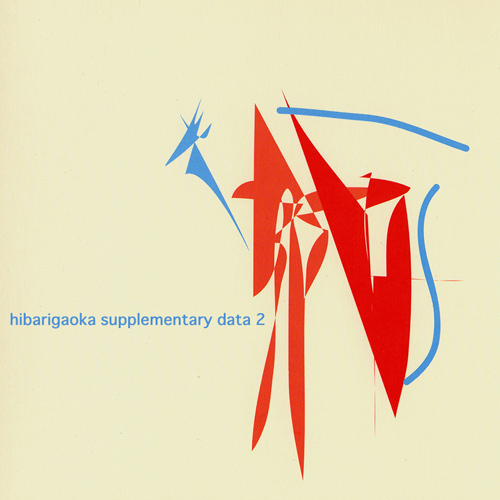 This album "hibarigaoka supplementary data 1" include the parts from 20000829 and 20000926. Especially the sounds on 20000829 were recorded by microphones without line signals. You can listen the lovely humming and the noises of dancing by severely-retarded children. Let's enjoy "hibarigaoka supplementary data 2" in great delight. I play at 'Hibarigaoka Gakuen' in Yokohama, Japan. It is one of the oldest & largest homes for retarded children. it means "The Concert In Great Delight". he is a great musician named "Dub Sonic". He drew the cover art by himself. no MIDI guitars or any synths. recorded at "Hibarigaoka Gakuen" Yokohama, Japan. Please enjoy in great delight.